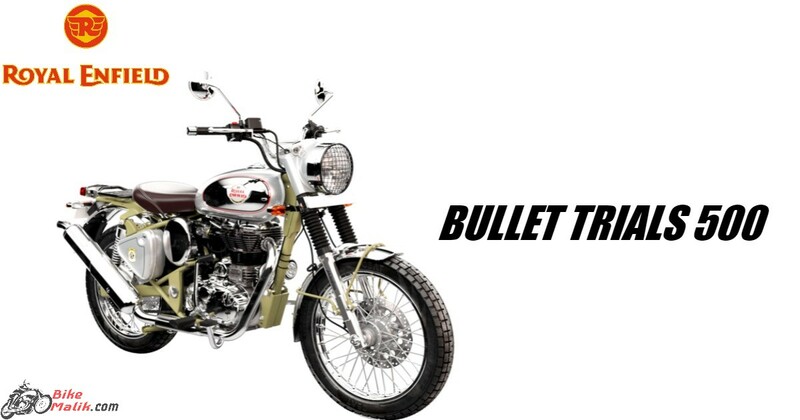 2019 Royal Enfield Bullet Trials 500 Features, Specs, Price & Mileage.. The 2019 Royal Enfield Bullet 500 Trials will be available in the market at a price of INR 2,07,000(ex-showroom, Delhi). The Royal Enfield Bullet Trials 500 gets a 500cc engine unit that churns a tremendous power and torque to give powerful vibes on the road. Royal Enfield Bullet Trials 500 comes with a 5-gear transmission unit to provide easy gear shift pattern. Royal Enfield Bullet Trials 500 returns 40 km/l, which is a good fuel number to be considered. 2019 Royal Enfield Bullet Trials 500 comes in good ergonomics to appear handsome & also to give a good balance to the rider. 2019 Royal Enfield Bullet Trials 500 fitted with a decent braking unit with ABS option & flexible suspension. Royal Enfield Bullet Trials 500 comes with an analogue instrument console to display information.